Well, this is it. 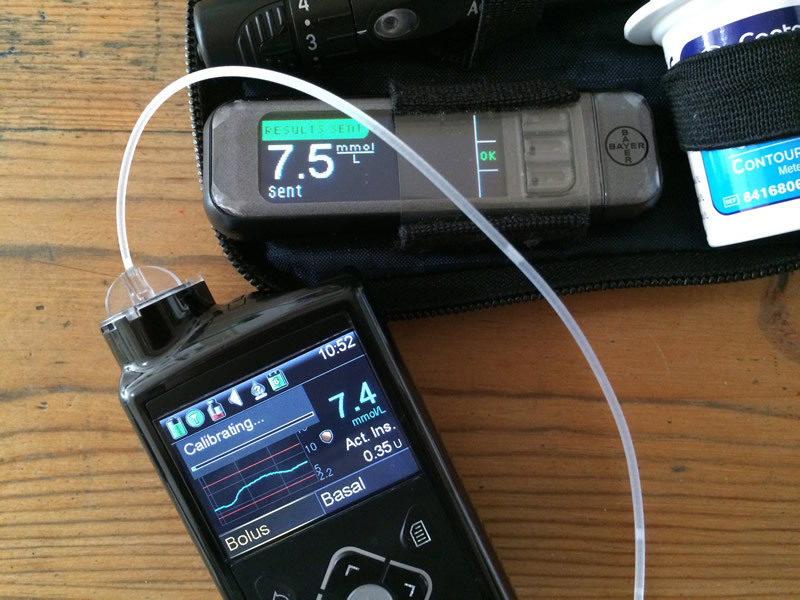 The last of my posts covering my time with the Medtronic MiniMed 640G. Thank you so much for bearing with me over the last few months. Normal wittering will be resumed shortly. However, as seems to be the way of things with blockbuster franchises (HA!) I have split this last episode into two parts. Part (i) covers all the little niggles and irritations I had while using the MM640G, while part (ii) looks at the things I loved, and reviews my results including reductions (if any) in hypoglycaemia and an HbA1c I had done at the end of my time using the pump. HbA1c is the test which measures how much of the glucose in your blood stream has stuck to red blood cells. It is often used as a measure of your likelihood of developing the long term complications of diabetes. For those who really can't bear wading through all those minutes of video I will summarise the results below. The video gives a lot more detail though, and features a fluffy bunny. What's not to like?! Those who have read any of my reviews before will know that I can get unreasonably irritated by the slightest things. It will come as no surprise then, that while I generally loved the MM640G both with and without sensors, there were a few things about it that drove me nuts. After a few minutes the pump automatically locks and most interactions require you to play an annoying 'press the right button' game. This is no good if you are in a hurry, and is not an option that can be turned off. It's now 'portrait' not 'landscape'. As someone who wears an insulin pump on my belt this is a bit awkward. As I mentioned in the first of these videos, the new belt clip is hopelessly flippy-floppy and needs a much firmer spring. The inbuilt tool for opening battery cap is cool though. Medtronic have now abandoned plans to produce a smaller version of the pump. All MM640Gs will now have the little sticky-up bit to accept the larger reservoirs. The smaller reservoirs can still be used, but at present, with approximately 35u/day usage, the 'how full is my reservoir' icon on my status bar is pretty much permanently red. The glue used on the sensor overtapes (and also the little patch that holds the sensor down initially) caused a red rash to appear after a couple of days of wear. Initially it was only toward the end of a sensor but in the end it began pretty much at day 2. I used an alternative dressing, but even that was pretty itchy. Weird - because I don't usually react to adhesives at all. From start to finish swapping a sensor takes around 3 hours to begin providing new continuous data. That's a looooooong time! Mostly I found the sensor accuracy was brilliant. But sometimes, particularly if I treated a low to try to fix a below target BG reading, the sensor was a little slow in responding (perhaps 30 minutes behind reality). Additionally calibrations by BG meter do not necessarily reach up to match sensor glucose and BG fingerstick value, but often end up with some odd half-way house. If the sensor glucose value had drifted a little there were even occasions where calibration triggered an 'alert before high' which was doubly annoying. The one-day graphs which allow you to flick back through previous days' results show no indication of SmartGuard interactions or insulin doses. Makes them about 10% as useful as they could have been. For no apparent reason, the icons in the status bar do not align neatly when using the MM640G without sensors. There's a gap where one of the sensor icons(!) would go, which makes it look untidy and poorly considered. The enormous dotted line 'we have no BG information to show you' panel where recent meter BG readings go (when not using sensors) also irritated me more than strictly necessary. Just doesn't feel like the visual look of the home screen for most UK users, who will be using the MM640G without sensors, was given enough finesse. The grumbles, gripes, and irritations - everyone will have their own, I'm sure. Whether you use the MM640G with sensors or not there is a LOT to like about it. There are all sorts of little, pleasing improvements in the interface and options that make a massive difference. Add the wizardry of SmartGuard into the mix and things are taken to another level - but even without there are lots of tasty treats for non-sensor users. There are now up to five basal patterns on the MM640G, and brilliantly you can copy entire patterns from one 'slot' to another to experiment with and then switch back if you need to later. The patterns also come with helpful names to keep track of which are which: Work Day, Day Off, Sick Day, Pattern 1, Pattern 2. Which pattern is set is not marked on the home screen, but thankfully setting any of them does not cause the 'alert circle' to appear like it did on the Veo. Temp basals can now be set in 15 minute increments for more precision and alter up and down by 5% at a time making them much quicker and less fiddly to set. Setting a Temporary Basal Rate no longer causes the pump to issue a useless wittery alert tone every hour, which means you can ACTUALLY USE THEM OVERNIGHT! In even better news - the end of a TBR is now indicated by a single beep. Brilliant! There are now a series of different alert tones to indicate different things. There were a few on the Veo, but so many overlapped with either 'pip-pip-pip' or 'naah-naah-naah' that I find it much easier to work out what is going on on the MM640G without having to check the pump for 'information' alerts and being alerted (ha!) to things that actually require action. The ability to increase volume has also significantly improved. It is possible on the MM640G to do rather more things during the time while a reasonable sized bolus is being delivered - for example you can set a TBR. The Veo made you wait until the bolus had finished before allowing you to do anything (other than stop the bolus!). This meant I could group my pump interactions together and then get on with life, rather than having to wait around tutting. Really, really good - especially compared to some other colour-screen diabetes gadgetry I have tried. Not perfect from every angle, but really easy to turn a little and see very clearly even in direct sunlight. Not a full remote control with bolus wizard, but a really useful standby when digging your pump out from within clothing is impractical or inconvenient. Now rated as IPX8 - up to 12 feet of water for up to 24 hours. Unsurprising if you have watched my Overnight Hypoglycaemia post, but SmartGuard overnight for me was a real stand-out winner. No readings at all for 9 weeks below 3.5mmol/L overnight, and hardly any below 4.0mmol/L. Some nights almost no basal insulin required, and others requiring my more 'usual' 6-7 units at night. Looking at the results it's hardly surprising I had so many problems and so much Severe Hypoglycaemia during my years on Lantus! When compared to averaged results from 10 weeks of Libre sensors (the only other 24 hour data I have) time in hypoglycaemia fell by 90% during my 9 weeks with the MiniMed 640G. At the same time my overall levels, as measured by HbA1c fell by 0.3%. And all this with less effort and very little 'alarm fatigue'. Improvements to the pump (with and without sensors) and the all important results. It has been a great privilege to experience the MM640G system, and for me the results were spectacularly good. The comparison with Libre data is an interesting one, particularly where hypoglycaemia is concerned. Times wearing a Libre sensor were previously my 'best ever' results-wise. The ability to spot hypos coming during the day and try to head them off (I generally scan a Libre sensor something like 30-40 times a day), plus the ability to spot low levels overnight and make hurried basal rate changes meant that I generally had fewer hypos on a Libre than I would normally. And yet when compared to these data, the MM640G system reduced my time spent in hypoglycaemia by 90%. To be clear, that means that for every 10 minutes I spent below 4.0mmol/L trying my very hardest with a Libre sensor, I would spend only one minute when using SmartGuard. That and my HbA1c dropped over the same period from 6.3% to 6.0%. 0.3% - it's not a huge margin, but those fractions are pretty tricky to shave off once you get down below 7.0 in my experience. My only hint of melancholy about the whole experience is, of course, the eye-watering cost of full-time sensor coverage (approx £3,500 per year inc transmitter). It's not something we as a family can afford, and full time CGM on the NHS is reserved for those who really need it most - and rightly so. It feels a little like being given a chance to live in a multi-million pound mansion and drive an Aston Martin for a few weeks to see how I like it. I may think it's brilliant - but the reality is that it's not really an option that is really open to me long-term. I have a pump clinic coming up in a week or two and will see what they say about the results - particularly my unpredictable and occasionally lengthy periods spent below 4.0 overnight. These do nothing to help my efforts to keep my Imparired Awareness of Hypoglycaemia under control. I may ask about the possibility of part-time sensor coverage. Even a few months in a year would make a massive difference (as long as the transmitter continued to function, of course). My Veo is nearing the end of its warranty period, so I am looking to the future. I have some thinking and some sums to do after this experience - depending on what my clinic say. Disclaimer: I was offered a trial of the Medtronic MiniMed 640G system for 64 Days with full sensor coverage so that I could share my opinion and experience good or bad. I was not paid to write this post, and if I had thought the pump was terrible I would have written that. I was encouraged (not required) to post video blogs about my experience, but Medtronic did not have any control over what I posted. 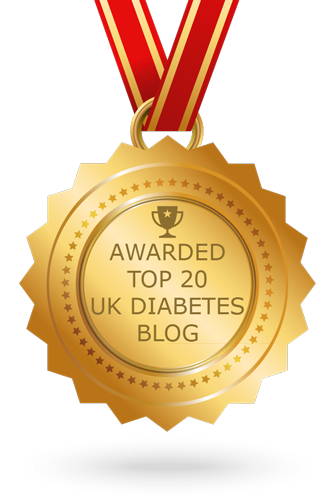 To reduce your time in Hypo by 90% is seriously impressive! I had hoped that the Libre would solve 'all' my problems, but of course one is still trying to catch those lows, and it looks like the technology managed to do it. Do you think they were mostly overnight ones that you would never have caught? SmartGuard did save many, many daytime ones too, but I have realised that it's the night time ones that really stuff my efforts to reduce time sub-4 because they can just last for *ages*. 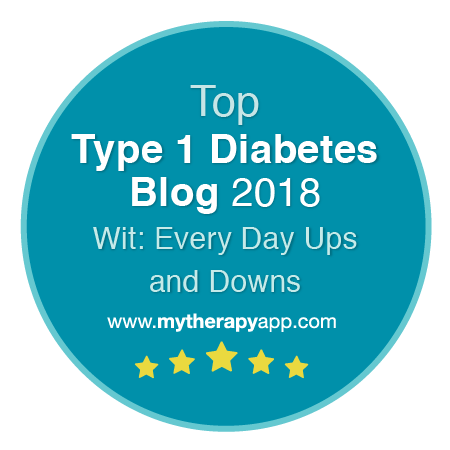 There's a bit more detail in the Overnight Hypoglycaemia vid, including a few Libre reports showing exactly that. With SmartGuard almost all of that went away - and nothing below 3.5 for the whole 9 weeks. Comparing day to day how much SmartGuard was (and then wasn't) active from from one day/week to the next makes me realise now rapidly my basal requirement can fluctuate one way then another, often turning on a sixpence. Smart guard gave me the time to spot and fix things without the pesky lows. I must look at your video! Unfortunately I suspect basals are not my problem, more likely due to food spikes with even relatively small carbohydrate loads - but then perhaps I would have a better chance of preventing the inevitable hypo that I too often miss with the Libre. Added to the frequent inconsistent results caused by nothing in particular...! Encouraging report though - I wonder when there will be justification for us all getting this kit?? Well they will need to be able to construct a solid, valid RCT showing 'statistically significant' benefit, preferably in HbA1c, but both A1c and hypo together would be even better. And then it would help if the cost came down. I'm not aware of any published MM640G research yet, though Medtronic must have done at least some small studies during development I think. Let's hope they have a corker of a trial in the pipeline. Shame it missed the boat for the NICE guideline update - as did the Libre. The currently available evidence for CGM is bewilderingly weak. It doesn't show anything like the benefit that all the people I know who self fund get from it. Which is weird, because you would think that the sort of people that get recruited for a trial would be *exactly* the right type to get a lot out of it. All very confusing. Hi, great review. The remote control (USB meter) is very valuable if you have kids with diabetes. It would be good if you looked into the functionality of the remote control a bit more. Cheers. 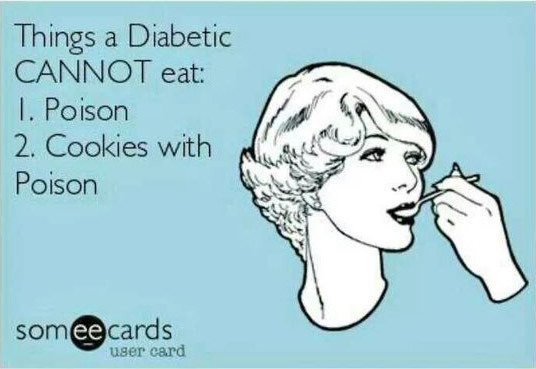 /Christian - diabetes type 1 (with two diabetes type 1 kids). It was interesting to read your review, glad you found the pump helpful. I was surprised by the high rating for use without a sensor. I used the 640g for about 6 months without a CGM system upgrading from the previous medtronic paradigm minimed. I found the 640g had pretty much zero new useful features (might be different with a CGM), but many things that annoyed me (badly design, poor UI, slow to input, bulkier, annoying alerts especially for battery). It got so bad I now use my old pump, the 640g is now a $10,000 paperweight. Sorry that you had such a poor experience of the MM640G. Pumps and interface foibles are such a personal thing. I found several of the UX changes really useful - particularly that they removed some of the things (like the hourly TBR chime that *really* wound me up about the Veo). I agree that the site is a bit clunky and it's a bit of an ugly spud - but for me this is nothing all that unusual in diabetes device design which seems to lag waaaay behind other consumer products. I liked much of the home screen stuff, improved alarm tones and display, colour screen, and relatively easy access to several things I use often, plus the naming and copy-paste-edit of basal profiles. But if you are not a frequent basal tweaker I can see that that would not even register. Of course I would seriously like to take the UX team into a dark room and physically demonstrate the frustration of requiring so many completely unnecessary button presses (utterly illogical since easy bolus is still available by just accidentally leaning on a few buttons). I have no idea how much influence the FDA had over some of the excruciatingly poor UX decisions, but if it wasn't regulatory pressure there really is no excuse for it. On balance though, there is much I still like about the MM640G, albeit with many things that drive me nuts. My experience of the Veo was very similar.